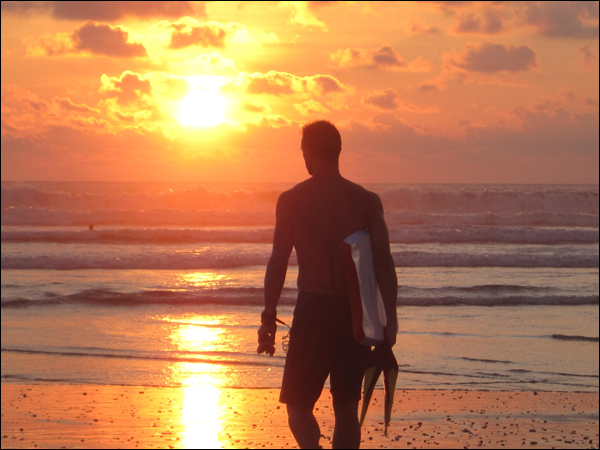 Nosara, Costa Rica is one of the oldest expatriate communities in the country, as well as a world-class fishing and surfing destination. It's population is a blend of local Ticos, long-term foreign residents, and a constant flow of tourists from all corners of the globe. 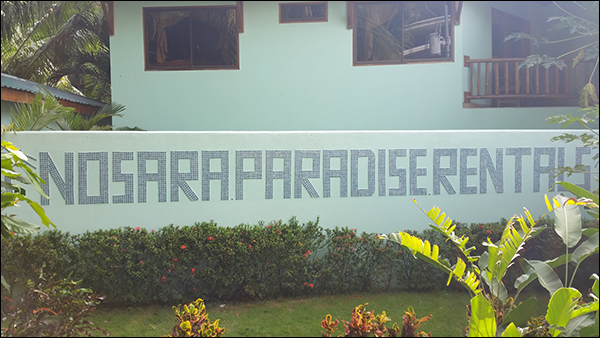 Nosara Paradise Rentals has welcomed guests from Australia, the Far East, Russia, England, Ireland, France, Germany, Italy, Spain, Portugal, Brazil, Argentina, Canada, and all over the United States. 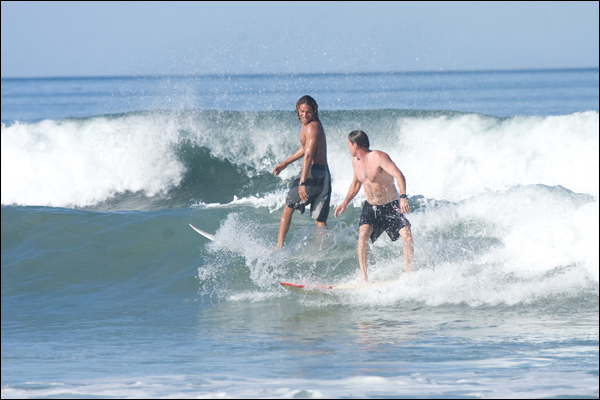 So much interest abroad in yoga, surfing, fishing, and ecotourism has turned Nosara into a crossroads of the world. Modern developments share fences with untouched ancient rainforests. 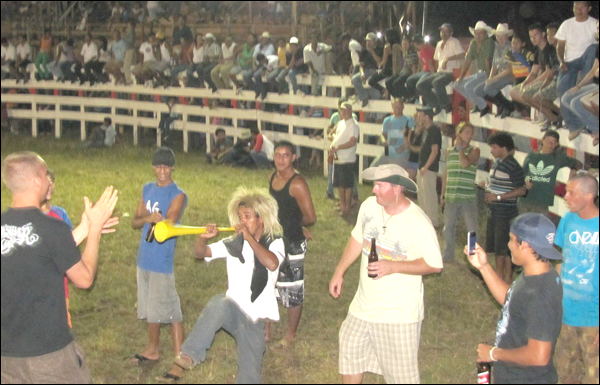 The nightlife is full of interesting bars, carnivals, dances, fiestas, and rodeos (see picture) where the meeting of different cultures takes on a festival tone. 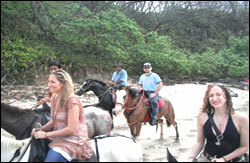 Unlike most coastal tourist towns Nosara lacks large-scale development directly on the beach as much of it consists of the Ostional Wildlife Refuge. The official town center is located 6 km inland from the beach. Within "Nosara town" is the market, pharmacy, post office, churches, school, police station, public library and Red Cross clinic. 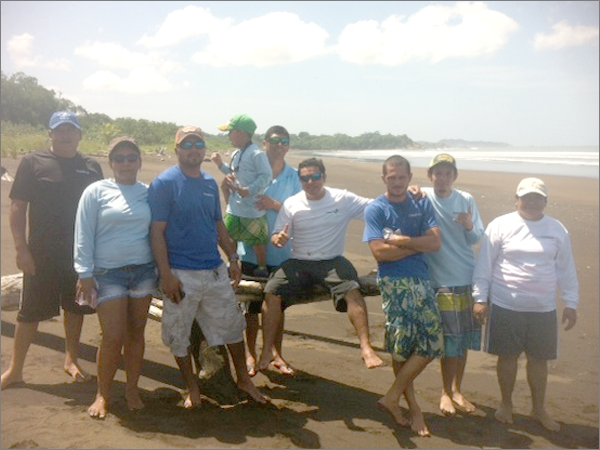 There is a Banco Popular branch located in the small commercial area near Playa Guiones. 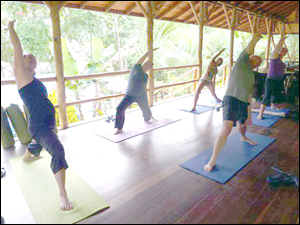 Yoga Nosara is also the location of the world-famous Nosara Yoga Institute, which coincidentally is our backyard neighbor in Guiones Beach. Nosara Paradise Rentals has a secluded path straight to the treetop studio. In addition to the NYI, nearby facilities like Blue Sky and Yoga House have contributed to the area's reputation as a yoga destination. The food is a blend of world styles, yet is truly 'set-off' by the pristine quality of the local foodstuffs...the cleanliness of the water, soil, and air contributes to food so flavorful and pure that words fail to describe the taste. This entire area is a 'Blue Zone' meaning no unnatural pesticides or industrial chemicals are permitted. 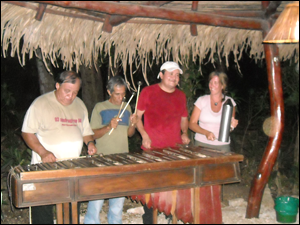 Costa Ricans (affectionately called 'Ticos') are a warm, welcoming, industrious, friendly group of people who are very dedicated to their families. Virtually all of the population is Christian with a strong majority following the Catholic faith. A large segment of the population is bilingual. Nosara and the nearby towns (Esperanza, Pelada, Garza, Guiones) are 30 km off of the main paved highway, and the secluded nature of the land has created a lifestyle that centers around clean living and strong family values. Major crime is virtually non-existent and the local economy offers well-paying jobs in both the tourism industry and traditional crafts such as farming, woodcraft, and commerce. 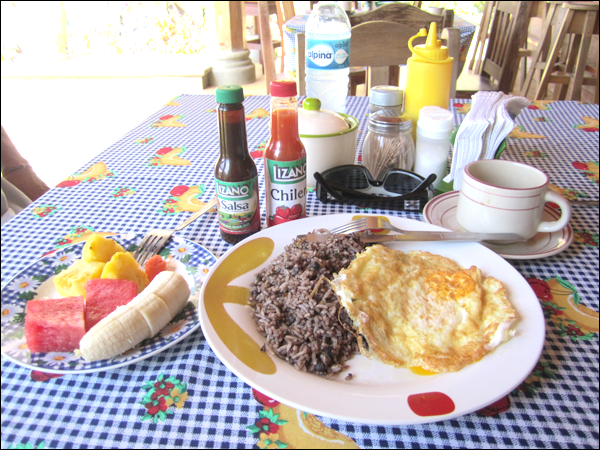 The citizens of Nosara are very accommodating to tourism and exhibit the "Pura Vida!" spirit in their everyday lives. 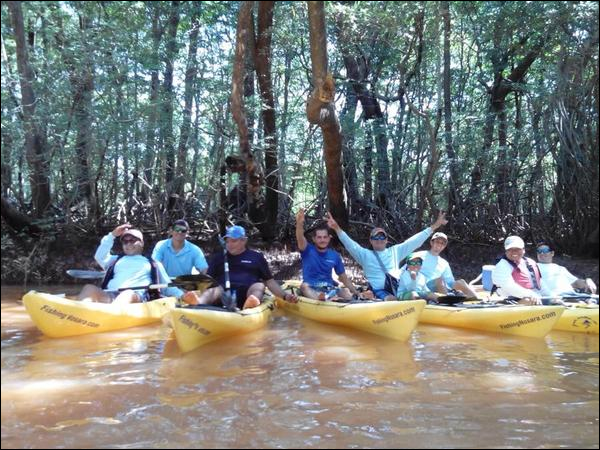 Nosara Paradise Rentals and FishingNosara are deeply embedded in the Nosara community. 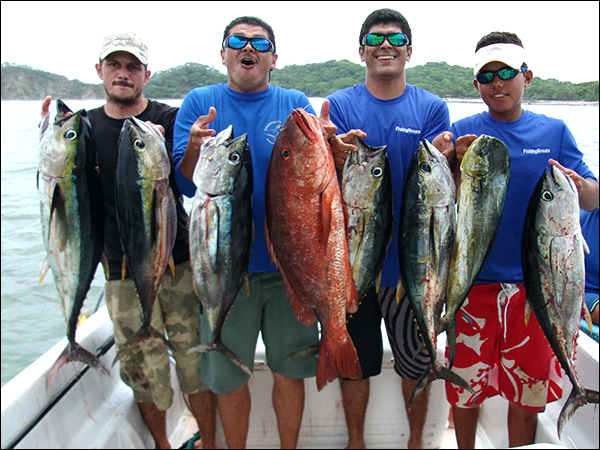 Our staff is 100% locally hired and we offer lots of great perks like English classes, full government benefits, and of course lots of 'company research' (laid-back fishing outings). We are proud to support the Nosara School by donating $1 from all apparel sales. 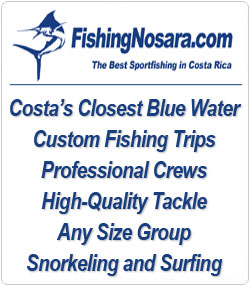 We hope that you can come visit us in Nosara soon. Pura Vida!